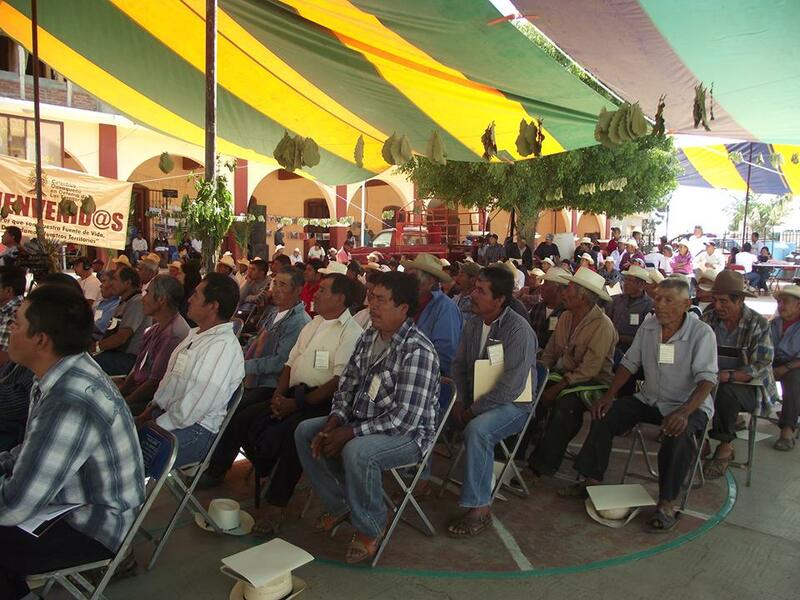 Editor’s note: The following is a declaration from the first regional forum regarding the mining industry and its impact on indigenous communities in Oaxaca, Mexico. The forum was held in Magdalena Teitipac, a small Zapotec town of 4,300 people, located approximately 40 km south of Oaxaca City. Representatives from 12 communities attended the event on 17 August 2013, to reiterate their commitment to defend their territories and demand indigenous-led, sustainable forms of development. The people, communities, and organisations have gathered in the community of Magdalena Teitipac to analyse the impact of the mining industry on the region of the Tlacolula Valley in Oaxaca, as well as to share experiences of resistance from other communities and towns affected by mining projects, both in terms of their land and social issues. We live at present under an economic and political model based in the “accelerated” extraction of our common goods such as minerals, water, forests, oil, gas, coal, and knowledge, through the plunder and the mercantilism of our ancestral lands. Under the imposition of this “extractive” model, we, the inheritors of the ancient Anahuac peoples of Abya Yala [Mesoamerica], are fighting against a transnational hegemonic process that destroys our social, economic, political, and symbolic systems of organisation. In order to implement this model, both federal and state governments, based on international treaties and agreements, are establishing a strategy to protect their investments through structural reforms in agriculture, energy, work, education, finance, security and justice, with the backing of the political, military, and financial powers representing the extractive enterprises. The State becomes guarantor of the investments of transnational and multilateral financial institutions. In this sense, the governments, by opting for a predatory capitalism or becoming partners with international enterprises, become the enemy of our peoples. To face this extractive model, we have decided to weave our resistance, by strengthening our communal structures such as assemblies, communal authorities, maintaining the control of our communal territory, and strengthening our historic memory. The time when the government represented an absolute power is a thing of the past. A new relationship with the government is necessary, in which the indigenous peoples decide the destiny of our territories. In the face of the great threat that the mining industry represents to the valleys of Tlacolula, Oaxaca, and our ancient Anahuac, we make a call to the Zapotec people of the valley in order to strengthen our communal organisations and the traditions and customs that have helped us to maintain as communities and as a people; generating our brotherhood and commitments based on our knowledge, where the defence of our territory constitutes the base of our declaration. Change in the present economic and political model that allows for the pillage of the territories. The respect to the decisions of the peoples shall be fundamental part in a new relationship with the government-states. This signifies the exercise of the right to the free determination of the indigenous, peasant, and rural peoples. The cancellation of all those mining projects where the communities reject the extractive model in our Oaxacan entities. That the procedures of community consultation be respected -supported by Convention no. 169, signed by Mexico with the [International Labour Organisation] in 1992 –which constitutes an ancestral practice of the peoples to participate and to make decisions, and that these results should be considered binding. These consultations represent a substantive right in the protection of the fundamental rights of the original peoples of Abya Yala [Mesoamerica]. Justice for all the women and men who, for defending the territories, have been criminalized, threatened, attacked and murdered in our state and country. A stop to the provocation, repression, persecution and criminalization against the pacific struggle of San José del Progreso, Oaxaca. Cancellation of the criminal demands of the ex-commissary of Communal Property and Council of Vigilance, against the citizens and community members of Magdalena Teitipac. The women and men participating in the Forum recognize the important and vital role of the women in the struggle for life and in the defence of the territory in Oaxaca, especially by the women of Magdalena Teitipac. Our wealth is not measured by the quantity of minerals produced; but rather by our knowledge, the ways we relate and respect the mother earth, practices of social and cultural organization of our peoples and communities. The cancellation of Fortuna Silver´s Cuzcatlán/Trinidad mining project in San José del Progreso, Oaxaca. The cancellation of the mining concessions granted in the region of the central valleys, as well as punishment to those responsible for crimes committed against the Coordinadora de los Pueblos Unidos ( Coordinating Committee of the United Peoples) in the Valley of Ocotlán since 2006. The cancellation of the Government’s social programs that threaten community cohesion in Magdalena Teitipac. We express our solidarity in the struggle of the Coordinadora de los Pueblos Unidos for the care of and defence of the water in the districts of Ocotlán and Zimatlán. Justice for Beti Cariño and Jyri Jaakola. A stop to the permanent harassment against the communities resisting the mega-project of wind power in the Isthmus of Tehuantepec by the state government of Oaxaca and the [Spanish] company Mareña Renovables. We have the right to say NO to imposed forms of development, and to decide our own forms of economic production, as well as social, political and cultural ways. For the Defence of Our Territories and Culture: Yes to Life, No to Mining in the state of Oaxaca. 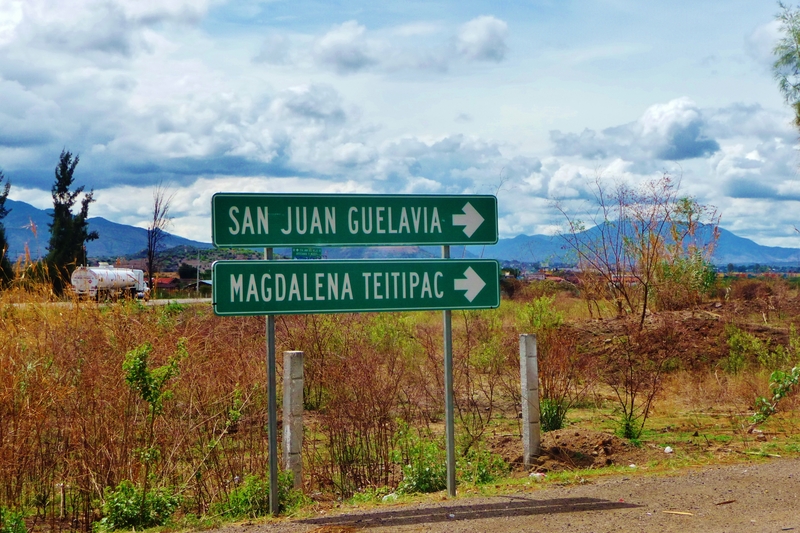 Communities: Magdalena Teitipac, San Pablo Güilá. San José del Progreso, San Juan Guelavía, Teotitlán del Valle, San Juan Teitipac, Capulálpam de Méndez, Santa Cruz Papalutla, San Dionisio Ocotepec, San Bartolomé Quialana, San Marcos Tlapazola and Santa Cecilia Jalietza. Civil society organisations: Colectivo Oaxaqueño en Defensa de los Territorios, Unión de Organizaciones de la Sierra Juárez de Oaxaca-UNOSJO S.C. Servicios para una Educación Alternativa-EDUCA A.C., Servicios del Pueblo Mixe- Ser Mixe A.C. Centro de Derechos Indígenas Flor y Canto A.C., Tequio Jurídico A.C., Centro de Derechos Humanos Miguel Agustín Pro Juárez-Centro Prodh A.C., Coordinadora de Pueblos Unidos del Valle de Ocotlán-CPUVO, Servicios Universitarios y Redes de Conocimiento en Oaxaca SURCO A.C., Centro de Estudios de la Región Cuicateca-CEREC, Ojo de Agua Comunicación, A.C.